CHANGE OF VENUE: Due to technical issues, tonight’s Tchaikovsky Chamber Concert has been moved to St Georges Bristol. All tickets remain valid. 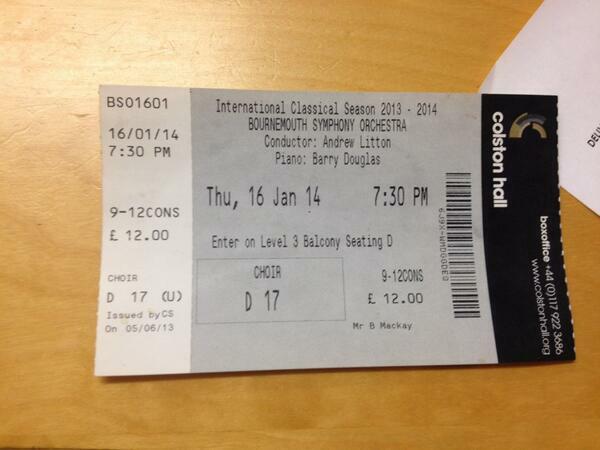 Tickets can be purchased by cash only from St George’s box office & from Colston Hall box office. Door time will be 19:20, the concert will start at 19:45. We apologise for any inconvenience. Two exquisite miniatures – including Tchaikovsky’s only original work for violin and piano – preface the brooding A minor Piano Trio. Dedicated ‘to the memory of a great artist’, Op. 50 is an imposing, grief-laden commemoration of his friend the pianist-composer Nikolai Rubinstein.